All ZenBio media products are ready-to-use when purchased. No mixing of growth factors or antibiotics is necessary. All media products are available as phenol-red free, serum-free, or specifically customized to meet your research needs. Basal medium is serum-free and contains essential additives to maintain subcutaneous cells for up to 3 days. It can be supplemented for specific research purposes. The medium is available in 500ml bottles and is ready-to-use upon arrival. Preadipocyte medium is used to plate preadipocytes prior to differentiation and contains growth factors necessary for expansion of subcutaneous preadipocytes. The medium is available in 500ml bottles and is ready-to-use upon arrival. Differentiation medium is used to differentiate subcutaneous preadipocytes to mature adipocytes in culture. The medium is available in 100ml or 500ml bottles and is ready-to-use upon arrival. 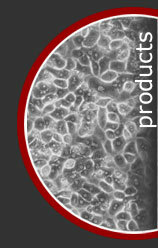 Adipocyte medium is used as a maintenance medium after differentiation and contains all of the factors necessary to support lipid accumulation in the maturing adipocytes. The medium is available in 500ml bottles and is ready-to-use upon arrival. Cryopreservation medium is used for long-term cryopreservation of subcutaneous preadipocytes. This medium has been specifically formulated for optimized recovery of human preadipocytes after thawing. It is available in 100ml bottles. If you require special media modifications, we offer a Custom Media Service starting at one bottle per order. Please contact us for more details or consult our Price List (.pdf). Examples of some common modifications include: Phenol-Red free, Serum-free, Dexamethasone-free, Insulin-free, PPAR Gamma Agonist-free and Antibiotic-free. Mrs. Birgit Huber and Dr. Petra J Kluger. Tissue Engineering Part C: Methods. doi:10.1089/ten.TEC.2015.0166. Masahiko Kuroda, Hideyuki Tanabe, Keiichi Yoshida, Kosuke Oikawa, Akira Saito, Tomoharu Kiyuna, Hiroshi Mizusawa, and Kiyoshi Mukai J. Cell Sci., Nov 2004; 117: 5897 - 5903. Soonkyu Chung, J. Mark Brown, J. Nathan Provo, Robin Hopkins, and Michael K. McIntosh J. Biol. Chem., Nov 2005; 280: 38445 - 38456. Alexei Kharitonenkov, Tatiyana L. Shiyanova, Anja Koester, Amy M. Ford, Radmila Micanovic, Elizabeth J. Galbreath, George E. Sandusky, Lisa J. Hammond, Julie S. Moyers, Rebecca A. Owens, Jesper Gromada, Joseph T. Brozinick, Eric D. Hawkins, Victor J. Wroblewski, De-Shan Li, Farrokh Mehrbod, S. Richard Jaskunas, and Armen B. Shanafelt J. Clin. Invest., Jun 2005; 115: 1627 - 1635. Human adipose-derived stem cells: isolation, characterization and applications in surgery. Prediction of Naphthalene Bioaccumulation Using an Adipocyte Cell Line Model. V. Bellemare, P. Laberge, S. Noel, A. Tchernof and V. Luu-The J Steroid Biochem Mol Biol. 2009; 114 (3-5): 129-34. K. Blouin, M. Nadeau, J. Mailloux, M. Daris, S. Lebel, V. Luu-The and A. Tchernof Am J Physiol Endocrinol Metab. 2009; 296 (2): E244-55. B. S. Korn, D. O. Kikkawa and K. C. Hicok Ophthal Plast Reconstr Surg. 2009; 25 (1): 27-32. S. E. Meyer, G. M. Zinser, W. D. Stuart, P. Pathrose and S. E. Waltz Dev Biol. 2009; 333 (1): 173-85. F. J. Ortega, J. M. Moreno-Navarrete, V. Ribas, E. Esteve, J. I. Rodriguez-Hermosa, B. Ruiz, B. Peral, W. Ricart, A. Zorzano and J. M. Fernandez-Real Obesity (Silver Spring). 2009; 17 (12): 2134-41. G. Yoo and J. S. Lim J Korean Med Sci. 2009; 24 (1): 104-9. C. W. Younce, A. Azfer and P. E. Kolattukudy J Biol Chem. 2009; 284 (40): 27620-8. Y. Zhang, M. Nadeau, F. Faucher, O. Lescelleur, S. Biron, M. Daris, C. Rheaume, V. Luu-The and A. Tchernof Mol Cell Endocrinol. 2009; 298 (1-2): 76-83.